Welcome to Muslim Alliance of New York (MANY), an alliance of high school Muslim Students’ Associations throughout New York City. Check the site regularly for news, photos, and other updates on MANY’s activities. In the name of Allah, the Most Compassionate, the Most Merciful . . . Sometimes you sit in the back of the MSA meetings and question, why am I even here? You don’t realize you are one of many Muslims in the city, and one of the many MSA-ers from 15+ high school MSAs. Those others are your kin whom you have never gotten to know, and during Thanksgiving break you will have the chance. You are part of something greater and play a bigger role than you think. Meet the MSAs and find out why MSA is more important than you imagined! The MSA Awakening – think of it as an MSA Homecoming. Meet new faces, meet new MSAs, make new bonds! By the will and grace of Allah, we hope to see you there. On January 21st, 2013, the sisters of MANY are planning to come together and rekindle sisterhood and unity through a day dedicated, directly to SISTERS! 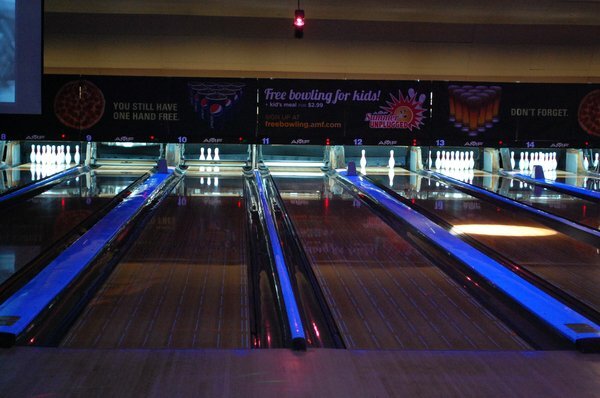 We are hoping to go bowling at AMF 34th Avenue Lanes starting at approximately 12:30pm, and insha’Allah, concluding at approximately 3pm. Join us for a day filled with fun, sisterhood, bowling, laughter, and pure enjoyment! We hope to see you there, and join our event for more information and updates, insha’Allah! All High School and College MSA Students Welcome. Join us at Kaufman Astoria Theater for an evening with the bros! Monday at 4pm. Call Br. Aminul at 917-214-8588 if you need help or have any questions. We’ll decide on the movie at the theater. We would like to cordially invite you to our New Horizons 3: Volunteers Lunch Banquet on April 21st, 2012 from 2pm-5pm at Jamaica Muslim Center. Join us on this day to celebrate and honor all of the volunteers who worked hard and sacrificed long hours to make The Third Annual New Horizons a successful event. We will be serving lunch to everyone, on behalf of MANY and would like for you to accompany us on this day to help recognize you, and everyone else and reminisce some glorious moments from New Horizons. Insha’Allah with your attendance we can have a successful event. Please RSVP via our Google Form and keep us in your du’as, insha’Allah. 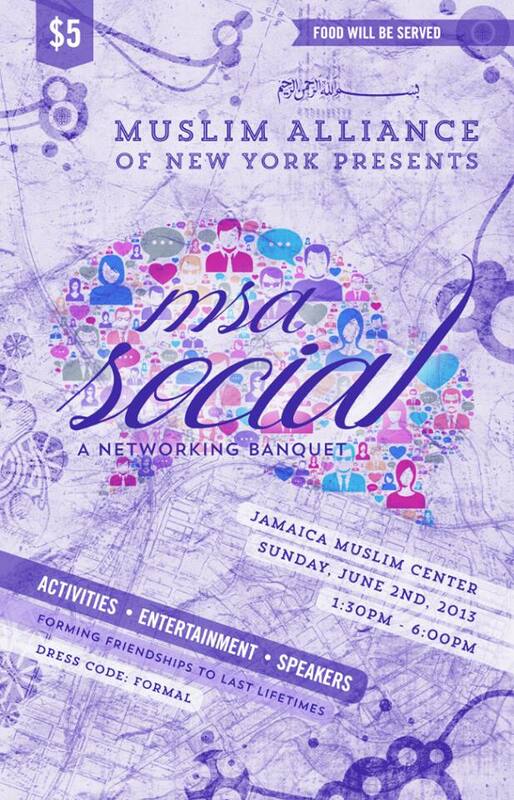 The Muslim of Alliance of New York invites all high school Muslim Students’ Association members to the first annual MSA Social event, on June 2nd, 2013. As we approach the end of the 2012 – 2013 school year, we would like to invite you all to formally meet one another, take a tour down MSA memory lane, listen to inspirational talks, while engaging in the biggest youth discussions of the year. From the wide array of activities and speakers, to our special guests and performers, we invite everyone to experience a new social atmosphere where we will dive into the true meaning of unity, by getting to truly know one another. This is an event you do not want to miss! There will be an entrance fee of Five dollars. This will help to cover the costs of the event, which includes a delicious meal, as well as desserts, for you to enjoy. Seats may run out, so please punctually arrive at 1:30pm to register and have a great experience! RSVP via the Facebook event here. Please make sure you are added to the Muslim Alliance of New York Facebook group first. New MSA’s and schools who do not have MSA’s are more than welcome to attend. This is an event open to all. Please do come! In addition, various college MSA representatives will be giving tips, views, and a guidance to college MSA’s. If you’re interested in learning more, they are available to converse with throughout the entire event. This is the event you have been waiting for! You’re welcome to bring guests, and we hope to see you there! On December 27th, 2012, from 10AM-2PM, The Muslim Alliance of New York is hosting the second Alliance Assembly Session, and a leadership conference: Re-Envisioning the Future of MANY at the Islamic Cultural Center of New York City, NY. This event will highlight the gathering of New York City’s most prominent Muslim youth in order to recreate the coalition that brought together New York City High School MSAs. This momentous occasion will spearhead the new direction of this young organization. We are going back to the basics, asking the youth to lead the youth and letting them decide whats best for themselves. Please join other youth leaders in recreating your own future—the future of the Muslim American youth. The monthly Alliance Assembly Session will be included in the beginning hour of this event. Join us at MAS Youth Queens Center on New Year’s Eve! New Horizons Volunteers meeting on March 9, 2012 @10AM. All Volunteers are Required to Attend.